A Seagate engineer will soon be teaching thousands of high-school students all about hard drives—without ever setting foot in a single classroom. 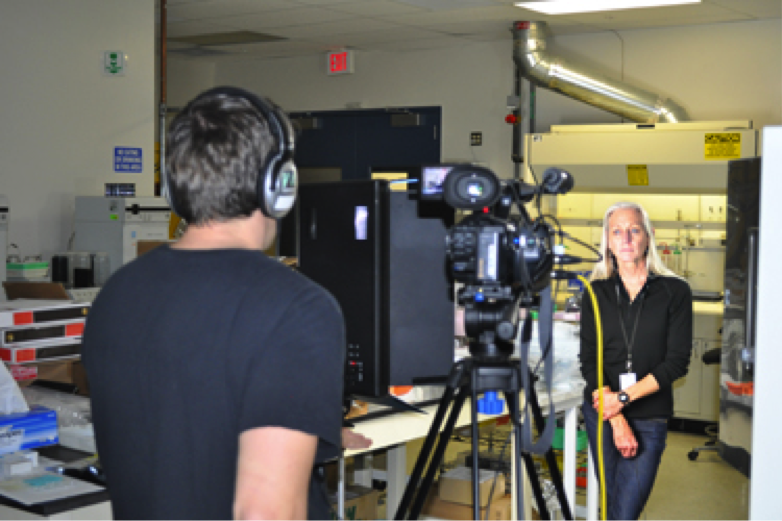 Edison Tech Center, a producer of educational films, recently posted a 7-minute video on YouTube, “How Hard Drives Work,” featuring Seagate chemical engineer Joanne Larson. The video is the first of three films produced by Edison featuring Larson, Seagate and the storage industry. The other two will be released later in the year. Larson, who spent an afternoon in her lab with the Edison crew, explaining and demonstrating the scientific concepts behind disk drive technology, said the experience was a bit stressful but well worth it. The Edison Tech Center is a New York-based non-profit educational organization that provides workshops and online educational videos and documentaries for high-school students and young adults. The center focuses on engineering, science and technology. Its online resources are accessed by thousands of viewers worldwide each day. Film producer Mike Whelan of Edison uses a Seagate Backup Plus Desktop Drive in the production of Edison’s educational films and documentaries. The drive uses Thunderbolt technology, which can handle data at twice the speeds of USB 3.0—ideal for quickly transferring large video files. Whelan, who produces documentaries on technology for Edison, stages film shoots around the country, interviewing past pioneers of technology as well as today’s cutting-edge engineers. The footage is used in current videos and stored for use in future documentaries.